Vitamins Health How do you know which supplement to choose? 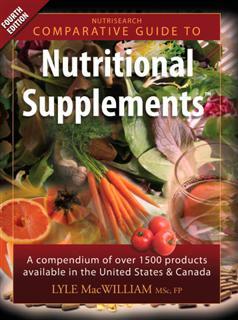 The NutriSearch Comparative Guide to Nutritional SupplementsTM, 4th Edition, scientifically rated over 1,500 US and Canadian supplements. 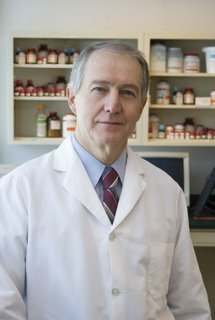 This independent research was led by former Canadian Member of Parliament and biochemist, Lyle MacWilliams. This guide represents thousands of hours of research. Each supplement was analyzed based on 18 unique and critical factors that contribute to a quality supplement, and then rated on a 0 – 5 star rating system. In addition, the Comparative Guide also awarded some supplements the NutriSearch Gold Medal of Achievement TM for meeting strict manufacturing methods and product quality standards verified by third parties. The 5-star rating system and NutriSearch Gold Medal make it easy for consumers to compare supplements and make a choice based on unbiased information. USANA Health Sciences’ multivitamin, the EssentialsTM earned the top honors – 5 Stars and the NutriSearch Gold Medal. Only 4 companies out of 1,500 received the Gold Medal. You may be surprised to learn how some of the most popular supplements in the market rank. Many popular supplements rank very low, therefore contact the person on this site to show you a complete listing of the rankings in the Comparative Guide or get your own copy using the link below. There is also a Consumer Edition which is an abridged version of the Professional Edition. It contains all the same product analysis, full-color graphs, listing of all 1,600+ products, but does not include all of the science behind the comparisons. If you need or want access to the details of the product analysis and all the scientific references, the Professional Edition may be the wiser choice. What are Vitamins & Minerals and where do they come from? 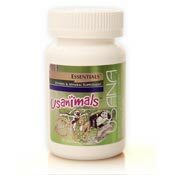 Vitamins are natural substances found in living things such as plants. Vitamins must be obtained in the body from foods or supplements as they cannot usually be produced by the body. Minerals are found in plants. Plants get their minerals from the soil – soil gets minerals from washing over rocks. For vitamins to do their job, they require minerals. Minerals must also be obtained from food or supplements. Antioxidants are specific vitamins or minerals that protect body cells from damaging effects of Free Radicals. Free radicals come from or are caused by smoking, sunlight, stress, exercise, etc., and are one of the primary causes of premature aging, sickness and disease. Poor Digestion – Eating too much or too quickly, stress, or an imbalance of friendly bacteria in the digestive tract can disrupt the delicate gastrointestinal environment. This imbalance can reduce absorption of vitamins and minerals. Poor digestion is common among the elderly. Overcooking – Over-cooking can easily destroy valuable food nutrients. Microwave Cooking – Studies suggest that microwave cooking alters the nutritional structure of food. (“Pediatrics”: vol. 89, no. 4, April 1992). 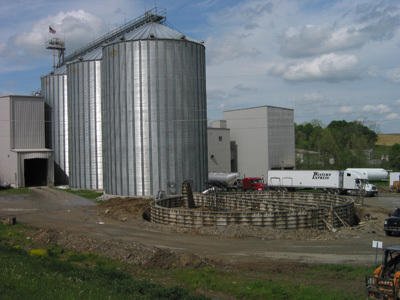 Food Storage – Length of storage and freezing depletes the nutritional value of most foods. Food Selection – A tendency to eat from a limited range of food groups results in nutrient deficiencies. Food Omission – Allergies to foods, crash dieting and poorly designed vegetarian diets omit significant dietary sources of nutrients. Antibiotics – Antibiotics alter the gastrointestinal environment and can interfere with the absorption of essential nutrients. Poor Lifestyle Habits – Smoking, alcohol and caffeine can displace or inhibit the absorption of vitamins and minerals or accelerate the loss of nutrients. Stress – Stress, be it physical or emotional, can increase the body’s requirements for vitamins and minerals. Imbalance – The level of each vitamin and mineral in the body has an effect on others, so if one is out of balance or missing, all can be adversely affected. With antioxidants, one is not nearly as strong as several combined as each greatly enhances the power of the others. Nutrient Variance – There are substantial differences between one fruit or vegetable and another. One tomato can have 10 times more nutritional value than another – which tomato did you eat? Build Up Your Immune System – Illness and disease are not “caught.” One doesn’t catch cancer, heart disease or a cold. You create these ailments with deficiencies based on what you eat or don’t eat. Increase Your Energy Level – Vitamins and minerals are involved in the release of energy from digested foods. Strong, lasting energy levels are good indicators of healthy vitamin and mineral intake. Enhance Your Appearance – Skin clearness, tone and elasticity; hair strength, thickness and color; fingernail strength, color and texture all depend on vitamins and minerals. Some people look 50 years old at 30. Some look 30 at 50. Expand Your Intelligence – Brain function, ability to concentrate and memory require proper vitamin and mineral levels. For capsules, put them into your mouth after you have placed a small amount of liquid in your mouth – then follow with a full gulp or more of liquid (the capsule will glide down much more smoothly after it is wetted). Try liquids that are denser than water, such as milk or fruit juices with a lot of flavor, such as orange and pineapple or vegetable juice, such as tomato. How do you choose the best multivitamin supplement? #1. Is the supplement safe to take? Vitamin supplements are simply an encapsulated group of ingredients taken from plants or created in a laboratory. The capsule may contain substances that are not listed on the label. Two major problems to watch out for are Contamination and Toxicity. Steroids, Stimulants (such as ephedra), and other Banned Substances - According to a December 2007 study2, approximately 25% of supplements could be contaminated. Traditional testing cannot detect these banned substances. Only a few labs in the world have the special equipment3 that can find them. While this is extremely important for athletes because many are drug tested, it's also important for the average person wanting a nutritional supplement. Some of these substances, like ephedra, have been implicated in many deaths. Make sure you choose a supplement that contains no banned substances. Toxicity – Toxic levels from vitamins and minerals can result from inconsistencies in the strength of raw materials. Therefore, science-based nutrition companies will test every batch of pills to confirm that not only does each pill contain the same strength and purity, but that when the consumer reorders the product next month (or next year) they will still receive the exact same strength and purity. Call the Company – As a consumer it is difficult to know whether companies do their own testing for contaminants and toxic levels or if they rely on the manufacturers’ claims – you must call the company and ask or look for independent third party testing and verification. If there is no contact information available, don’t use the product. 2. Released and commissioned by Informed-Choice LLC, a not-for-profit partnership between supplement companies and HFL, the world’s most experienced anti-doping lab in the field of supplement testing. #2. Does the supplement get absorbed? Disintegration – indicates how fast a tablet or capsule breaks down into small pieces so the nutrients can dissolve. In the image below, the supplements have not disintegrated – they are in the colon! Dissolution – is a measurement of how fast a supplement dissolves. If a tablet or capsule does not dissolve, the nutrients can not be absorbed. Strength – is the amount of a specific vitamin, mineral, or herb in each tablet or capsule. 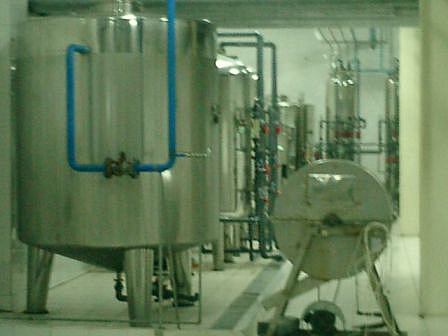 Purity – assures that the product is within an acceptable range for impurities (from contamination or degradation). Expiration date – must be listed on the label indicating the date beyond which the supplement may no longer meet USP standards of purity, strength and/or quality. What good is taking a product if you can not absorb it? A cheap vitamin becomes expensive when it is not able to be used by the body regardless of its cost. Absorption must be taken into consideration when selecting a supplement. If you pay $20 but are only absorbing 10% ($2 worth), you are wasting $18. Look for a supplement that has chelated minerals in it. If a supplement has chelated minerals and meets USP specifications, you can be confident that your body will absorb it. #3. Is the company science-based and credible? Companies will boast that their products have superior ingredients, that liquid vitamins are better than capsules, that capsules are better than tablets, or that their juices are made of exotic berries from around the world. Don’t be distracted by the hype. Bottom line – do they have research and science behind their product? There are several thousands brands of vitamin supplements, many claiming to be the “best.” But, most vitamin brands use the same few suppliers for their ingredients. So what’s the difference between all these companies other than packaging? Not much. The company is research and science focused. Some things to look at would be: company founder, company size (or lack of), and expertise of the scientists who formulate the final product. 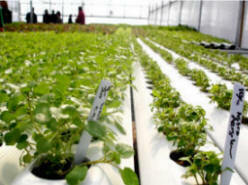 They have testing and certification done by independent agencies to guarantee what’s on the label is in the product. NSF International is an independent, not-for-profit organization that helps protect consumers by certifying products and writing standards for food, water, air quality and consumer goods. They use studies proving the quality and research of the product. You want studies that are done by credible and independent third party source. 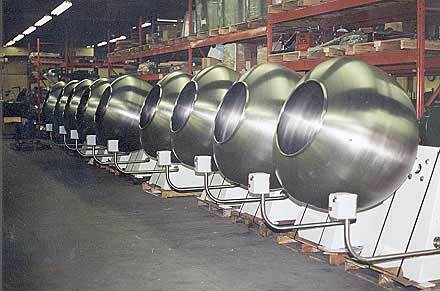 The company manufactures the products themselves and does not outsource to a manufacturer overseas. They voluntarily meet the highest manufacturing standards. THE LAWS WERE RECENTLY UPDATED TO ESTABLISH NEW STANDARDS FOR DIETARY SUPPLEMENT MANUFACTURING. WHILE THESE NEW REGULATIONS RAISE THE BAR FOR SUPPLEMENT QUALITY, SOME MANUFACTURERS VOLUNTARILY EXCEED THEM AND MEET EVEN HIGHER STANDARDS. The higher standard is known as “Pharmaceutical Good Manufacturing Practices (GMP).” This standard applies to prescription drugs and over-the counter medications as well. The Pharma GMP has even stricter rules and guidelines on all aspects of supplement production: personnel training, laboratory controls, and packaging requirements, to name but a few. Only put the highest quality supplements in your body! As discussed earlier, many athletes and coaches are concerned about taking supplements that may contain banned substances. In fact, national committees have written to their athletes warning them of the potential danger of contaminants, encouraging them not to consume any nutritional supplements. USANA products have been tested and guaranteed free of banned substances under the guidelines of Informed-Choice LLC and by a laboratory with ISO 17025 accreditation. 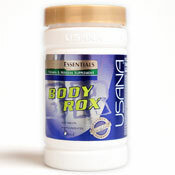 USANA offers an ironclad solution through its Athlete Guarantee Program. If a selected athlete tests positive for a banned substance as the result of taking a USANA national product, USANA will compensate the athlete with up to two times his or her current annual earnings up to $1 million Canadian. Many athletes took notice of USANA’s guarantee. Look at the results they have achieved. USANA’s commitment to research, science, and manufacturing quality is impressive. We have used them as a model company because they guarantee their products to be contaminant free and back it up with money. Take 2 minutes to enroll as a Preferred Customer - it's FREE and easy and you will enjoy all USANA products at 17% off retail. Save an additional 10% by signing up in our autoship program. That's a full 27% savings! There are no obligations and you completely control your account online. Sign up online or Call 1-888-950-9595 and refer to ID#: 296618. There are several thousand companies that sell vitamins – most get their ingredients from the same few manufacturers – the only difference is the packaging. Farming produces the raw ingredients from plant sources – such as wheat. Vitamins are then extracted from the raw ingredients. 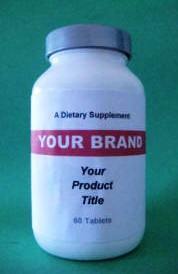 The manufacturing company makes the supplements according to the specifications (quantity of each vitamin & mineral in the capsule) set forth by the marketing company – not by scientists. By ordering as few as 100 bottles, you too can have your own vitamin brand. No science, just a different label. USANA’s scientific staff includes experts on human nutrition, cellular biology, biochemistry, natural product chemistry, and clinical research. Scientific results from a variety of sources, including world-renowned scientific literature, in-house laboratory research, and cooperative clinical studies, are incorporated into product development and design. When raw ingredients first arrive at USANA, they are immediately quarantined until they are tested for purity, potency, and quality and to verify that they are contaminant free. 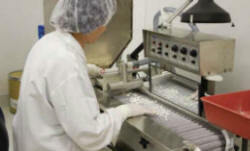 If an ingredient fails to meet set standards, it is rejected and returned to the supplier. USANA was founded with a mission to manufacturer the highest quality products without compromise, products that people can trust. Because poor manufacturing can destroy great science, USANA manufactures its multivitamins, the EssentialsTM, in its own state of the art manufacturing facility. It is manufactured using the rigorous quality assurance standards set forth by Pharmaceutical Good Manufacturing Practices (GMP). What you read on the label is what you get in the bottle every time, guaranteed. As the tablets are being manufactured, they are tested for hardness, thickness, disintegration, fragility and weight uniformity. USANA’s vitamin and mineral supplements are formulated to meet USP standards for potency, uniformity, disintegration, and dissolution. USANA’s multivitamin, the EssentialsTM, has been exhaustively tested and been found to contain all ingredients at the labeled amounts. Company founder Myron Wentz, Ph.D., is a world renowned pioneer in cell-culture technology and has his PH.D. in microbiology, with a specialty in immunology. In the early 70s, he founded Gull Laboratories, which soon became the world’s leading producer of commercially available diagnostic test kits for viruses. Dr. Wentz and Gull Laboratories designed over 35 disease diagnostic kits. Dr. Wentz saw degenerative diseases (gradual deterioration of specific tissues, cells, or organs causing injury, disease, or aging – for example heart disease, breast cancer, etc.) claim members of his family. In 1992, armed with a unique depth of cell-culture expertise as well as a strong belief in the importance of cellular nutrition, Dr. Wentz created USANA and its now famous family of nutritional products. Dr. Wentz knows resolving the essential nutrient deficiencies of our modern diet and counteracting the free radical damage from our toxic environment is key to helping people achieving optimal health. 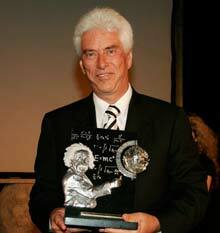 Dr. Myron Wentz was honored June 25, 2007 at a special ceremony in Jerusalem with the Albert Einstein Award for Outstanding Achievement in the Life Sciences. The Albert Einstein Award salutes leaders whose vision and commitment have contributed to the critical advancement of vital life-saving and life-enhancing technology to benefit mankind. Dr. Wentz received the award in recognition of his many scientific and charitable endeavors. Take supplements with meals. Many vitamins and minerals need fats and proteins to be properly absorbed. Take supplements twice daily – morning and evening meals. Store supplements in a cool, dark place; never expose to sunlight. Take only as directed; more is not always better. Don’t take vitamins with coffee, tea (including herbal teas), or sodas. They can reduce the absorption of minerals. It’s important that the supplement has a complete and broad spectrum of vitamins and nutrients because vitamins work together in the body. Your vitamins health requires pharmaceutical-grade vitamins, get the best multivitamin available. THE BOTTOM LINE … USE A MULTI-VITAMIN/MINERAL/ANTIOXIDANT SUPPLEMENT DESIGNED BY SCIENTISTS WHO ARE CURRENT ON THEIR RESEARCH. THE SUPPLEMENT SHOULD ALSO BE MANUFACTURED BY A CREDIBLE COMPANY THAT WILL GUARANTEE THEIR PRODUCTS. Safety. Efficacy. Quality: Nutritionals You Can Trust.